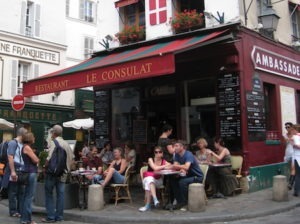 One of the special things we love about Paris is the ability to wander around and discover fun places to sit and eat or have a drink – bistros and cafes. 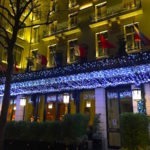 The Paris bistro is a must for any visitor to the city of light. Sitting outside and watching busy Parisians quickly walk by carrying their baguettes and daily grocery purchases can teach you a lot about the nature of Parisians, their lifestyles and their tastes. When sitting in a Paris bistro, you need to relax and take your time. There’s no rushing your order or getting your check. Your server wants you to enjoy yourself and stay until you’re refreshed and ready. 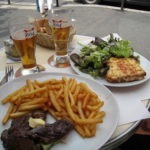 No matter how much you may want to gulp and go, when in a Paris bistro you must slow down. This may be a difficult for Americans or other travelers who are on a tight schedule and want to see a lot of the city or are used to eating and running off at home. In America, for example, the average working New Yorker takes 3 minutes for lunch – stopping at a cart to grab a hot dog or such and gobble it on the way back to work. Not so the French, whom you can see at a Paris bistro or other eatery settling in and enjoying the company of others. Whether telling stories or just sitting and watching the world go by, when a Parisian commits to sitting at a bistro he or she agrees to take some time and enjoy life. There are many a Paris bistro and cafe from which to choose. Finding your favorite is a very personal and fun experience, whether you like the biggest names in a Paris bistro, ones on the main streets or just a little one off the beaten path. Next time you’re in Paris explore, take your time. Wander down a side street, go an extra block or two and find your special little place to relax. Take your time and enjoy the calm. Pretty soon you’ll start to feel just a little more French. 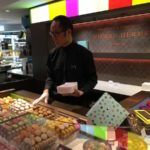 THE QUICK BITE: When in Paris, take time to stop at a Paris bistro, sit down and relax for awhile. Enjoy the company of others or just watch the passersby. Unwinding for a time is the authentic way to experience a Paris bistro.